All Arvonia homes currently listed for sale in Arvonia as of 04/24/2019 are shown below. You can change the search criteria at any time by pressing the 'Change Search' button below. If you have any questions or you would like more information about any Arvonia homes for sale or other Arvonia real estate, please contact us and one of our knowledgeable Arvonia REALTORS® would be pleased to assist you. 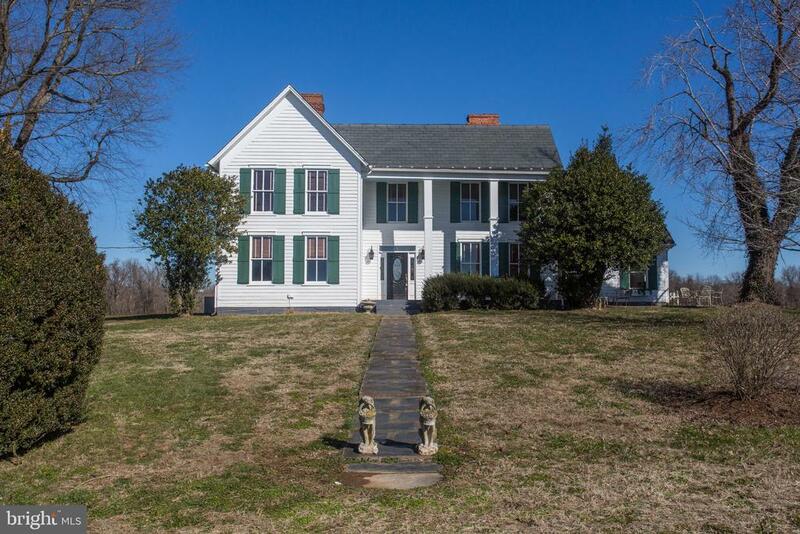 "Imagine living on the James River in a modern farmhouse on 54 acres, with bucolic views of open, flat land. The possibilities are endless; the property allows for boating, swimming from your own private picnic area, and hunting. The private retreat offers a charming guest house, spacious barn with two stalls, kennels, a dog run, storage, and abundant land to add paddocks, etc.. The charming four bedroom residence with 8 fireplaces has been restored to perfection while preserving its original appeal. Heart-of-pine floors and doors of walnut emphasize the quality of the original construction. The grand kitchen is certain to be the ideal gathering place for casual dining and entertaining. The mudroom or utility room opens to the rear deck, covered porch and patio areas, with expansive views toward the river."